Every week I try to make a treat with the kids that they can enjoy throughout the week. 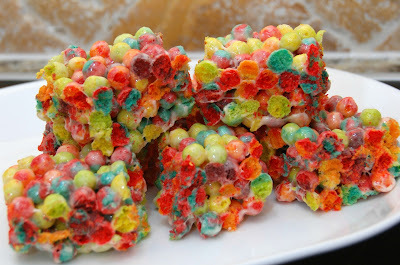 This week we made one out of Trix cereal, because it was on sale at the grocery store. I have to say that these little guys are a favorite in this house. We make them for play dates, birthdays, and just for a fun treat. 3. Add the marshmallows to the pot and stir until they are melted. 5. 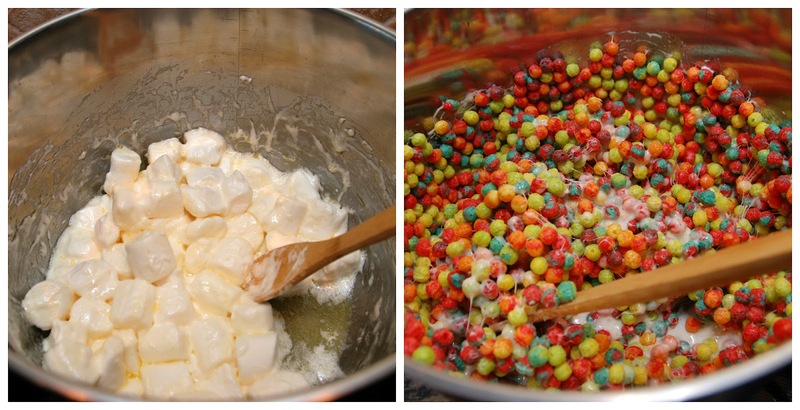 Add the Trix to the pot with melted marshmallows and butter. Stir until the Trix are coated. 6. 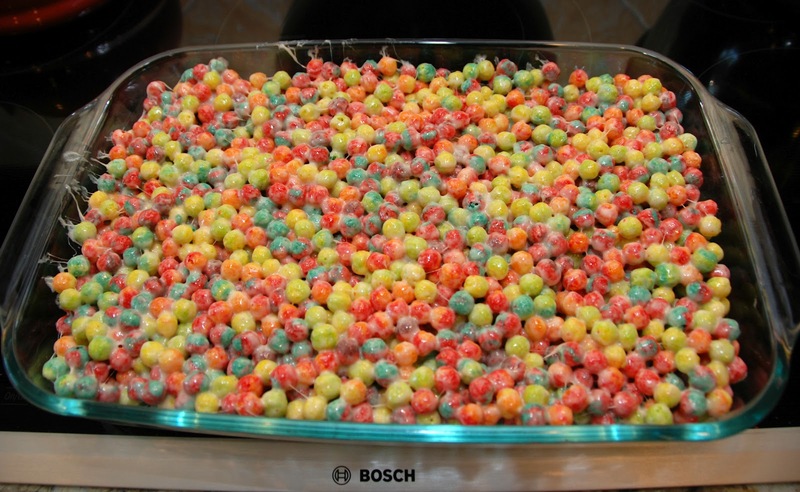 Spread the Trix mixture in the prepared baking dish. You can either spread the mixture by using a spoon, or my favorite way, spray your hands with a little cooking spray and press it down. 7. Once cool, cut into squares or use a cookie cutter to cut into shapes. never thought of using trix. my boys would love these! At Sheetz they have them made with fruity pebbles, same effect I imagine, I'm hooked on them! 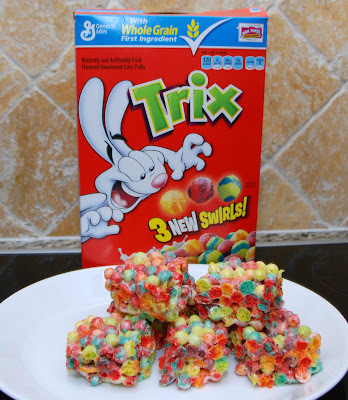 You should totally try the Trix. They are awesome! I'll have to make fruity pebbles next. 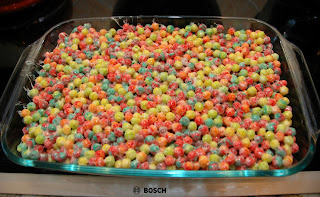 Just made the Trix Treats! Can't wait for the children at church to try them out tomorrow! Much more festive for Easter than Rice Krispies! That is great! I hope they enjoyed them!!! Happy Easter!